Pearse s only other aeroplane was his ‘‘utility aircraft” constructed at Christchurch during 1933-43. Now displayed at the Museum of Transport & Technology (MoTaT) in Auckland, it is seen here after its arrival at Auckland in November 1956, three years after Pearse’s death. Its transport from Christchurch aboard a USAF Douglas Globemaster was the closest it ever got to making a flight. 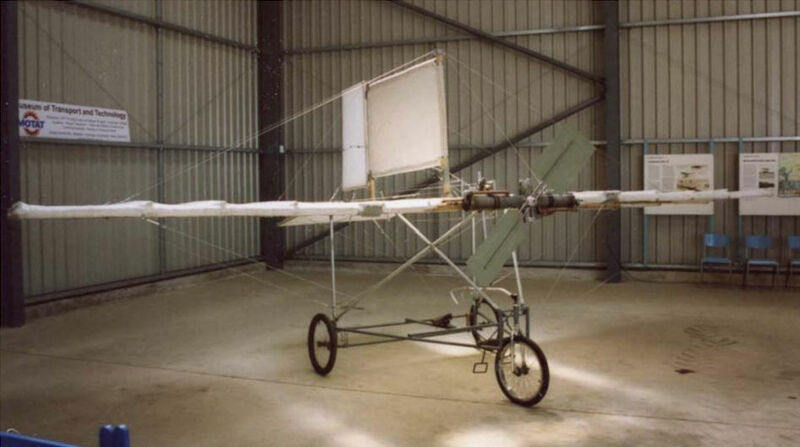 Yet another “replica” of the Pearse machine was transported to the UK in 2003 by the New Zealand branch of the Royal Aeronautical Society (RAeS), to be displayed at the RAeS Centennial Garden Party at Old Warden in July that year. 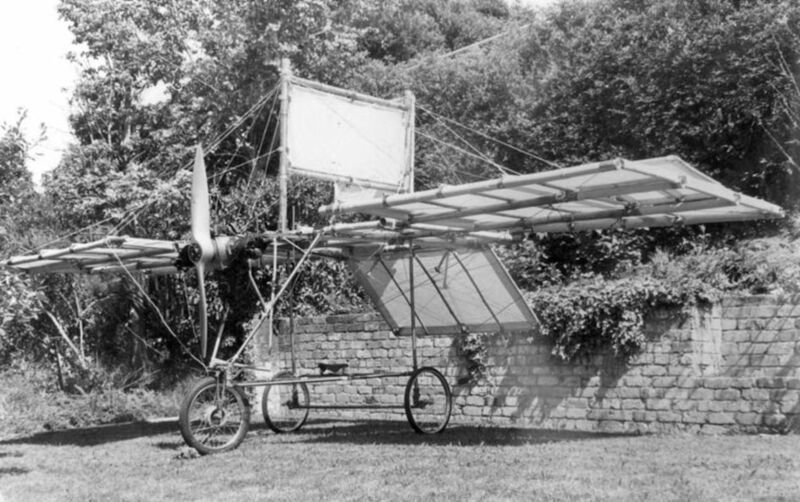 Pearse’s original machine would have been substantially larger, with far greater wing area. Another ‘‘replica” of Pearse’s first aircraft, this one displayed at MoTaT. Again, this bears little resemblance to the original as decribed by Pearse, which had much greater wing area and significant differences in its control system. 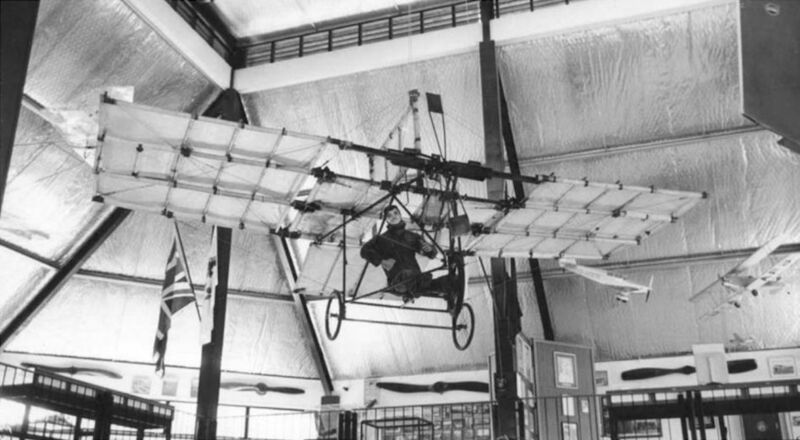 One of a number of so-called “replicas” of Pearse’s first aeroplane. Based on the 1907 patent drawing - not a plan - it bears little resemblance to the considerably larger machine that Pearse built and attempted to fly during 1909-10. 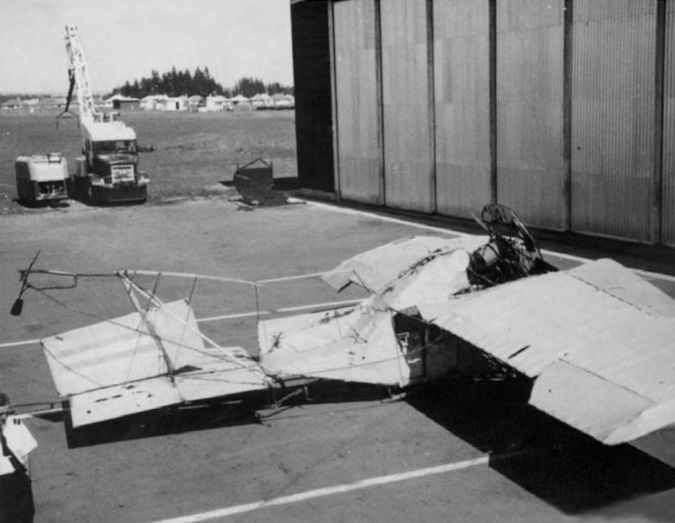 In 1958 some remains of Pearse’s aircraft were discovered in a riverbed in Opihi by Maurice Cameron. 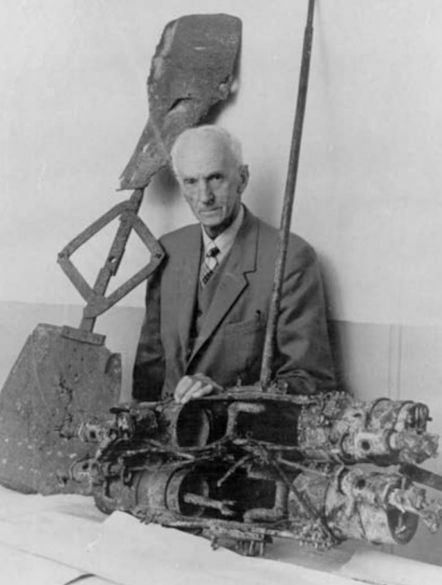 Well-known New Zealand pilot and engineer George Bolt stands beside a two-bladed metal propeller and the remains of a horizontally-opposed four-cylinder engine from Pearse’s first aeroplane. 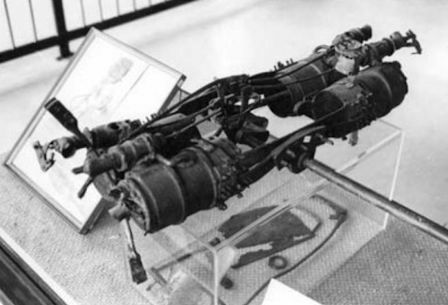 The remains of the engine, which had no crankcase and therefore operated on a total-loss lubrication system. 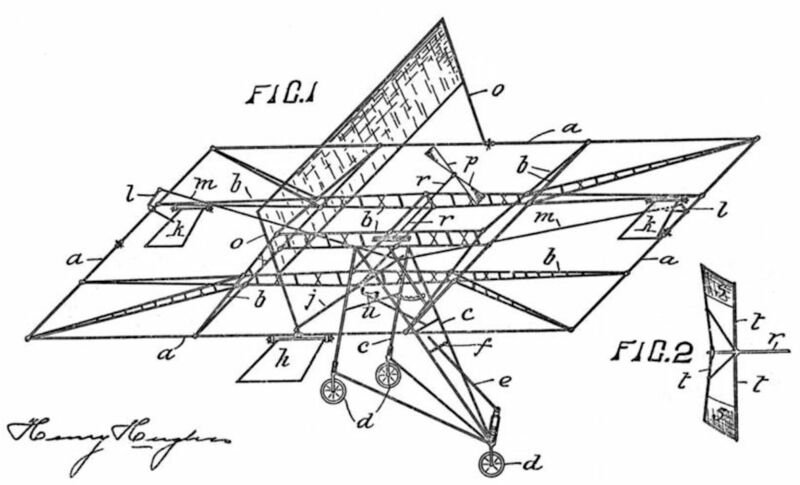 The only known depiction of Pearse’s aeroplane, from the 1907 version of his patent. Rather confusing at first glance, it shows the wing as viewed from beneath from a three-quarter-front position, while the undercarriage frame has been swung down so that its framework does not interfere with the details of the wing structure.